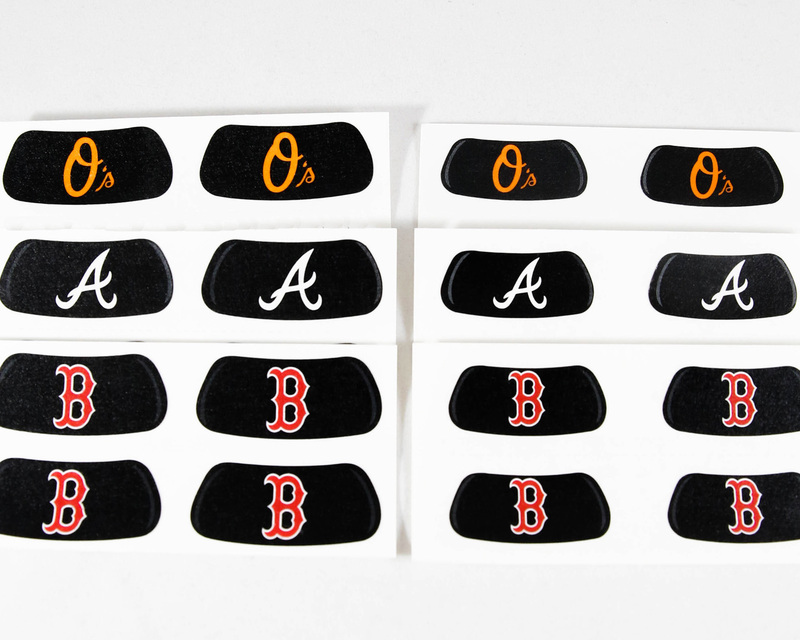 A look at eye black options for the MLB fan. With the MLB’s spring training in full swing, players, teams, and fans alike are gearing up for a long season of baseball. For fans, this includes breaking out all the team gear and being ready to show off their team spirit and pride. 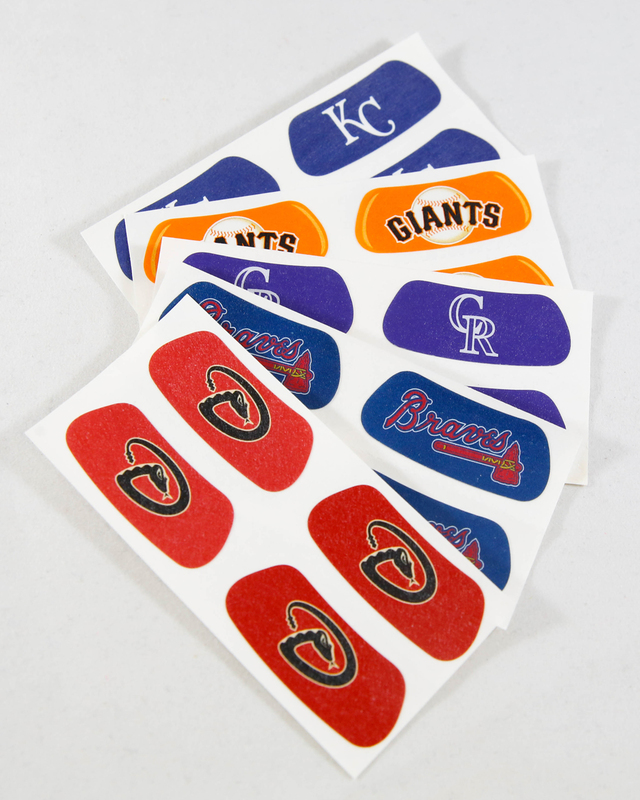 MLB eyeblack is a great and unique way for fans to show their love for their favorite team and look good doing it. 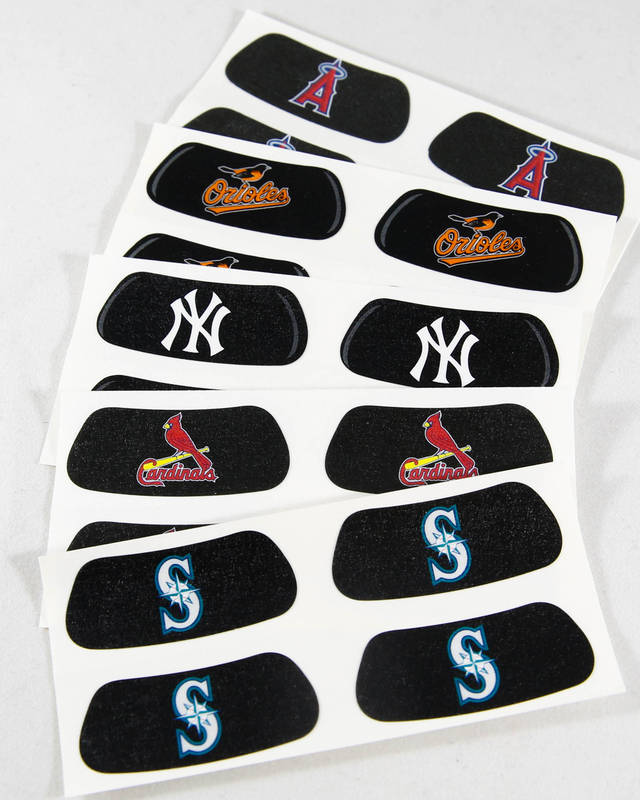 For the traditional look, MLB eye black offers a classic black background with your choice of team and multiple styles of team logos. One of the most fun and unique options is MLB glitter eye black. 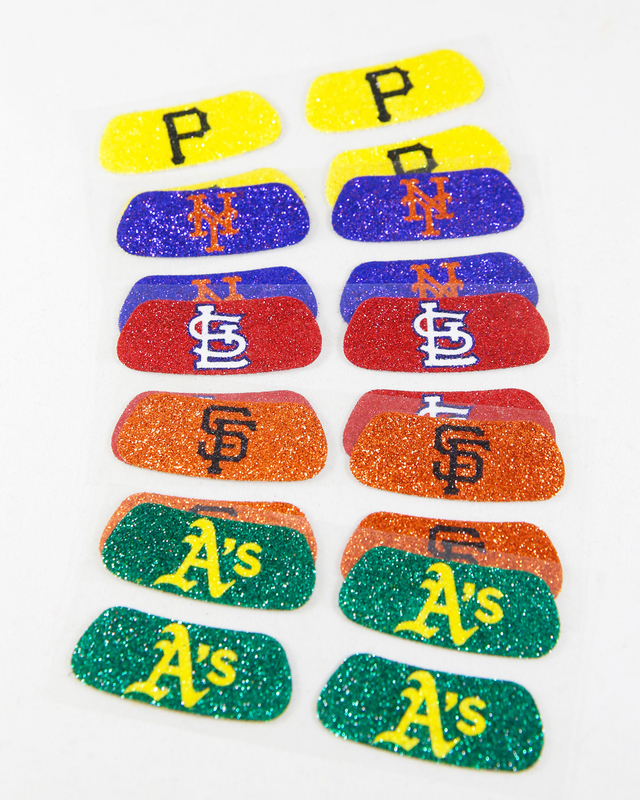 These strips feature all teams, in corresponding team colors with the added pop of sparkling glitter. For those who prefer a splash of color, we offer all team teams on a team color background, too. 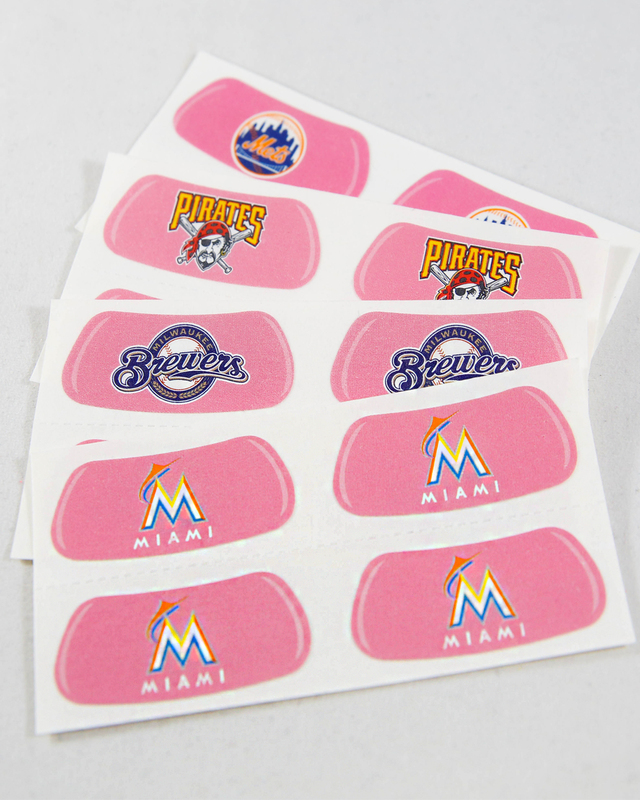 Pink eye black is a great way to mix up your options. It is a popular choice for games during breast cancer awareness month. 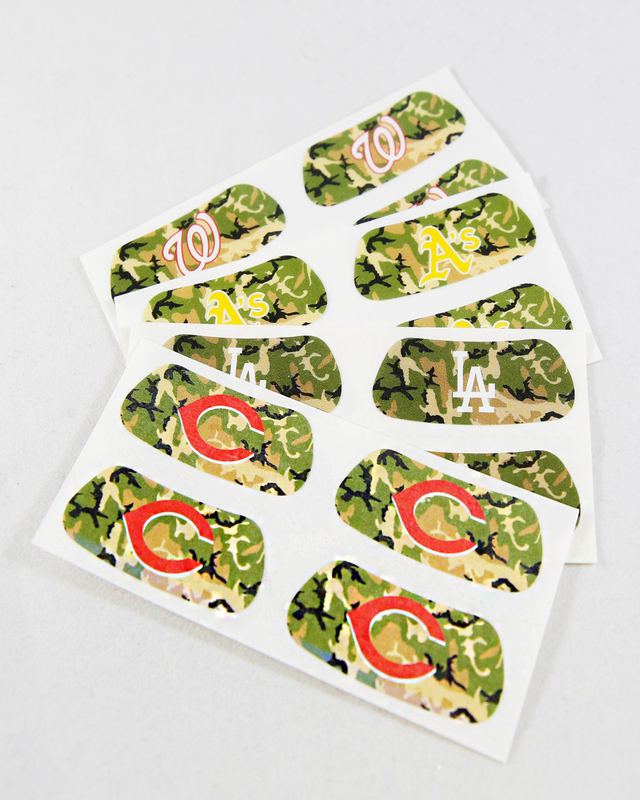 MLB eye black can also be purchased in various team logo options with a camo background for military appreciation. For younger fans, multiple design options are available in a smaller size.